FREE Dot Shot Pro Applicator !! 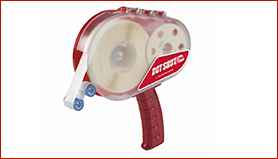 Buy 16 rolls of the same tack – Low, High or Super High Tack and receive a FREE Dot Shot Pro Applicator! 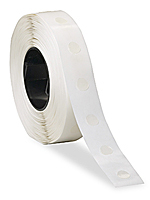 • Glue Dots rolls are color-coded by tack level. a FREE Dot Shot Pro Applicator! Low Tack glue dots are removable suitable for attaching membership cards to letters. High Tack glue dots are considered removable suitable for heavier promotional items or sachets. 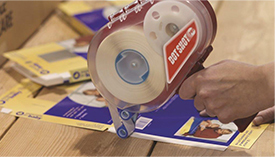 Super High Tack glue dots create a permanent bond and will tear paper. 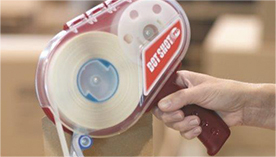 Dot Shot Pro Applicator designed to apply DSP glue dots with easy. More than just a glue dot! Please note, this offer excludes Matrx continuous pattern glue dots. Offer ends 30th June 2016. Offer deal price per roll £5.00 plus vat, minimum purchase 16x DSP rolls to qualify for the free applicator, no maximum purchase.